Awesome, incredible, fantastic!!! 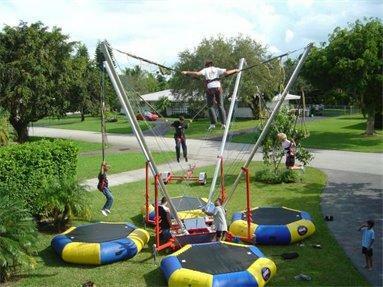 Thats what you will hear at your next event with the Spider Jump Bungee Trampoline. Our 4 station Eurobungy style jump allows 4 players at once while under the supervision of our trained attendants. 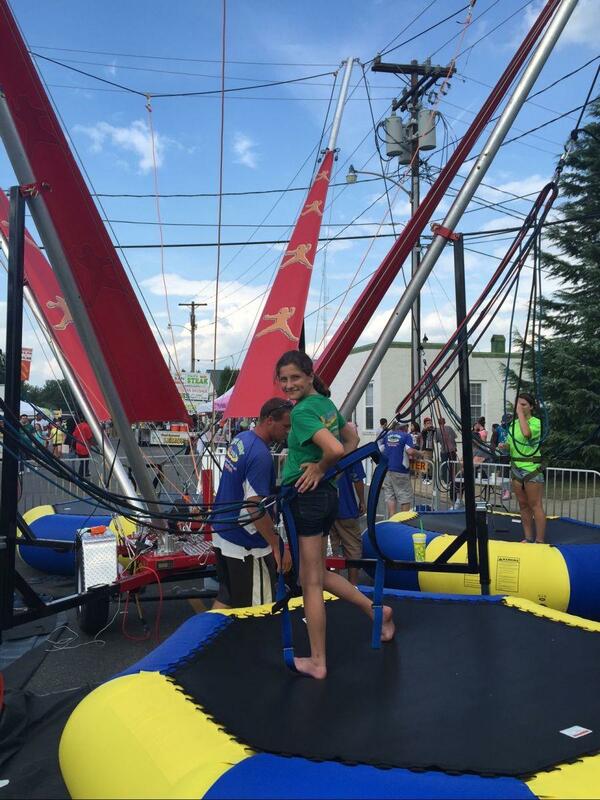 The younger starting at ages 3 can enjoy simple trampoline jumping within their limits while older can defy gravity to heights of 20' plus ( max 215lbs). Those who wish can exhibit their acrobatic skills with forward and backward rolls- maybe a few splits or kicks mixed in. 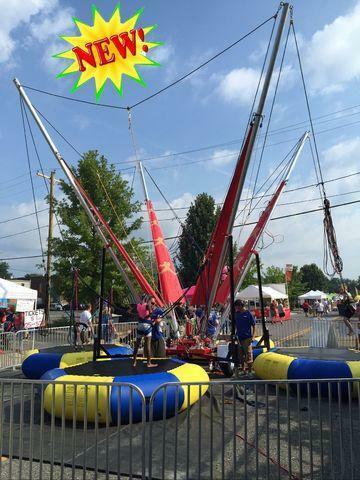 The Spider Jump is the perfect center piece for School events, fundraisers, Spring & Fall Festivals, corporate events, church events, and if your looking to throw your child that unforgtable party- great for birthday parties!